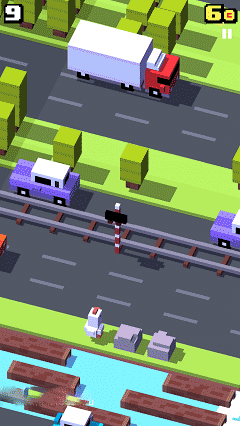 Crossy Road is an Arcade Game for Android. 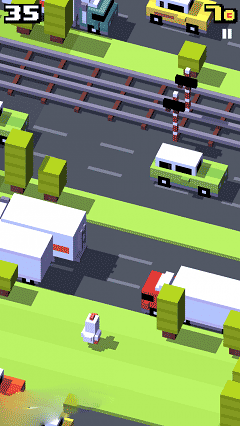 Download last version Crossy Road apk + mod (Unlocked/Coins/addFree) unlocked for android from RevDl with direct link. 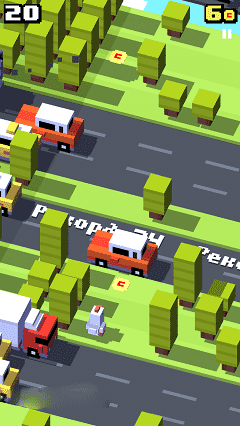 Crossy Road is an arcade game, where you should try to guide an animal across a series of streets full of cars and other dangers. In this game you have to tap and make your chicken jump cross the roads. you should make sure that the ckicken will cross the road safe. In the way there are cars in the road, the chicken should jump over the cars and with each jump, cars go faster. don’t forget the safety of the chicken. play and enjoy the endless game!!! Meet our chicken cross, he just loves crossing roads, hence his name. Take this to this endless runner game where you have to jump over the car, but with every jump, the drive is getting faster and faster, for some reason he just does not seem to our little friend. Tap with precision to make sure he crosses the road in safety! Don’t be a chicken, start playing the endless game today!